CSIM Note: Mavericks Proving Grounds is a recently announced Battle Royale MMO game from Automation Games. Here is a bit from their website: “We’ve recently announced a few details of our upcoming tactical shooter: an MMO of unprecedented scale, supporting 1000 concurrent players in an ultra-high fidelity world instance. 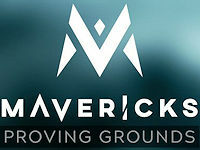 It is set in a huge, photoreal and highly dynamic environment, with strong character progression, social hubs, intelligent mission systems and global-scale player-driven narrative.” You can get a bit more information on the Mavericks Proving Grounds website. Mavericks Proving Grounds is set to release later this year. However, not many players actually know what to expect. Here’s 5 things you don’t know about Mavericks Proving Grounds. One thing that is known for certain is that Drones will be the way in which players will enter the map. With this information we know the game will be set in the near future. Could this mean we’ll see other technological features of a futuristic style? Even if we don’t, deploying from a drone to where your squad wants to start searching for loot sounds exciting. In a recent interview Automation Games’ James Thompson described how Mavericks was challenging the ‘boring’ moments of a Battle Royale Mid-Game. Players will be given optional missions and objectives to complete during the game. This could be something like ‘Capture and maintain possession of this particular bridge’ for example. Thompson revealed that players who challenge and complete in these objectives will receive special rewards and loot after the game. This gives players another thing to think about apart from just hiding until the end of the match. Want to know what else you don’t know about Mavericks Proving Grounds? Well head on over to Gaming Intel and read the rest of the article!